You’ll stand out from the crowd in this quality sports/casual tee, with VapoDri moisture-wicking technology to boost evaporation of sweat and iconic CCC branding to show your allegiance to the Canterbury team. 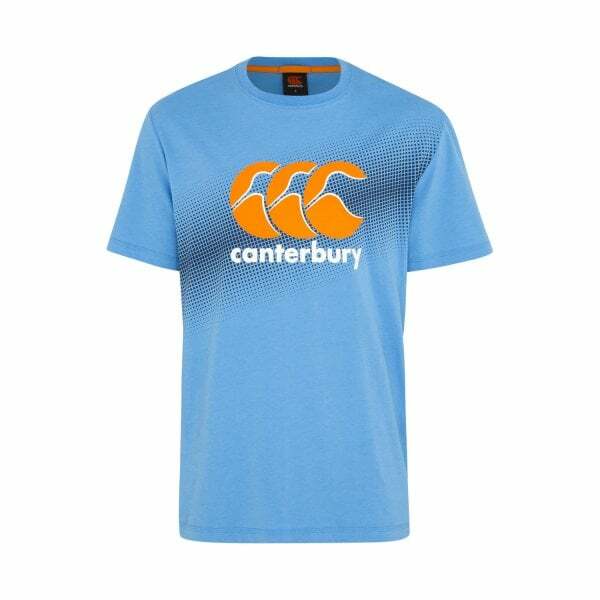 Our CCC Logo Tee is a functional sports/casual garment that’s also eye catching in its design and will identify you as a fan of the Canterbury clothing range. It features Canterbury’s unique VapoDri fabric technology that keeps you cool and dry when you exercise by wicking moisture away from the skin and boosting the evaporation of sweat. This tee is made with active guys in mind and it will soon become a favourite in your sports/casual wardrobe, whether you use it for training, wear it around the house, or throw it on for a smart casual look when you’re spending quality time with family or friends.